How To Sell Your Home for the Right Price This Summer in Colorado Springs - Swift Results, Inc. If you want to sell your house this summer, you want to get a good price and actually sell it. 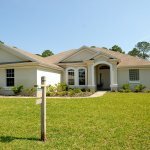 To help you do that, we’ve given you 4 strategies about how to sell your home for the right price this summer in Colorado Springs. Can a house be sold while in probate in Colorado Springs Colorado?